"Incredible" doesn't describe this well planned out home in Hiland Park (55+ Over Park) in Franklin NC ! Multi-level decking surrounds this home, end of the road privacy, paved to the door, two car attached garage with KITCHEN ACCESS-bring those groceries into the house without getting RAINED ON! Spacious sun room, 1 year old roof, 1 year full home warranty. 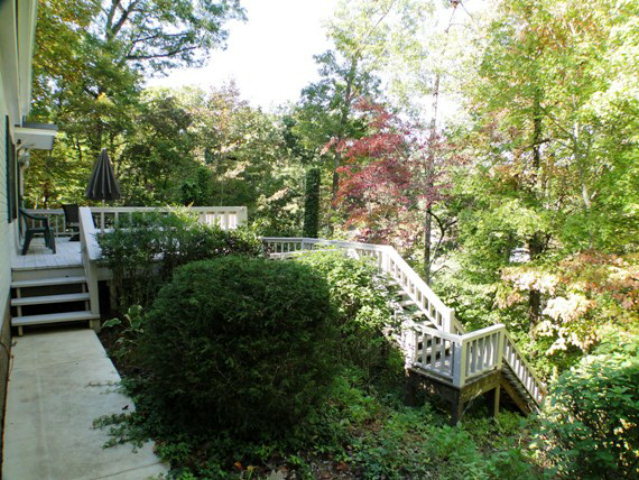 This home is tastefully landscaped and well taken care of.. Built to withstand any kind of weather, the home sits on a full concrete slab with masonry skirting! 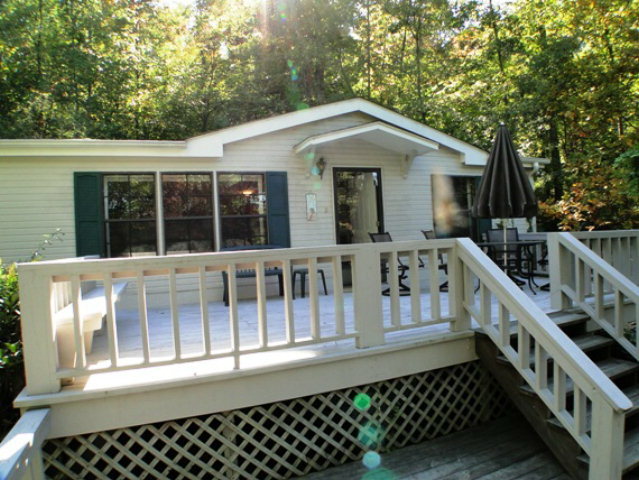 For sure, this is one of the best manufactured homes available in Franklin NC!